In the mechanized universe of our urban lives, parks and gardens with their green spaces are a vital necessity. They offer a refreshing environment from the concrete jungle epitomized by our city landscapes. In addition, they also provide much needed recreational opportunities and are a focal point for the community people to meet and socialize. Siliguri has some wonderful parks and gardens within its city limits. Among them Madhuban Park, Surya Sen Park and Savin Kingdom are reputed not only within the community they serve but also as focal tourist spots attracting all visitors to Siliguri. Situated in the outskirts of Siliguri, the Madhuban Park is a exquisite park which has been established by the Indian Army. Known to be the trail of the Sukna forest near Siliguri, the Madhuban Park is well maintained and serves as an excellent picnic spot in West Bengal. It has lush green surroundings, serene ambiance and a cool environment making it the perfect place to laze around in the evenings as well as weekends. However if you are planning for seclusion, it is best to avoid the crowd which collects during the weekend. In fact, the Madhuban Park has been one of the most frequented parks in Darjeeling district alluring visitors with its manicrured lawns, landscaped gardens and pathways. It is also a great place for jogging, morning walks and other daily activities when you can spend quality time with friends and family. 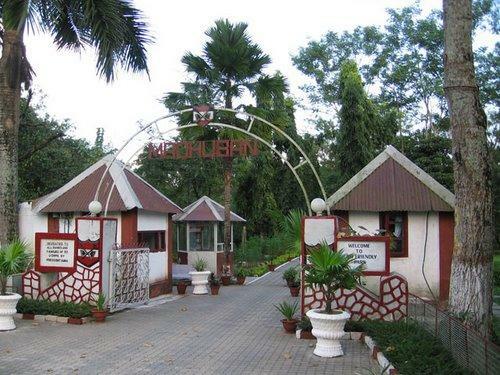 The Madhuban Park is also known for variety of flora and fauna. Some of the smaller animals at the park include deer, rabbit and peacocks as well as a wide variety of birds and butterflies. The nearby Umrao Singh Lake is a nearby attraction. Being one of the most prominent tourist landmarks in the city of Siliguri, the park can be easily accessed through buses, taxis, auto and other transport from the neighbouring towns. This is another favourite park noted as a picnic spot for the local people residing in Mahakal Pally near Siliguri. Inaugurated in honour of the noted freedom fighter Surya Sen, the park has his bust installed in the middle of its grounds. The Surya Sen Park aims to promote an eco-friendly environment raising awareness about alternative sources of energy. This is done through an exhibition at the park regarding the same. The Surya Sen park also contains diverse facilities for the enjoyment of children. With picturesque surroundings and beautiful landscapes, the park takes a grander turn in the evening when it is extensively lit up with coloured lights throughout the park. This castle themed amusement park is one of the highlights of Siliguri. Constructed by the SAVIN group, the park covers an area of about 10 acres. It has a dry park section with abundance of thrill rides like Monorail, Paratrooper, Break Dance, Fume Ride, Swing Chair, Dashing cars, and Go Cart while the water park gives you unbridled enjoyment of the latest water rides including rain dance, tunnel rides, multilane, wave pool and playstationstaton for kids. There are also extensive facilities for eating out at the Savin Plaza, its food entertainment mall. 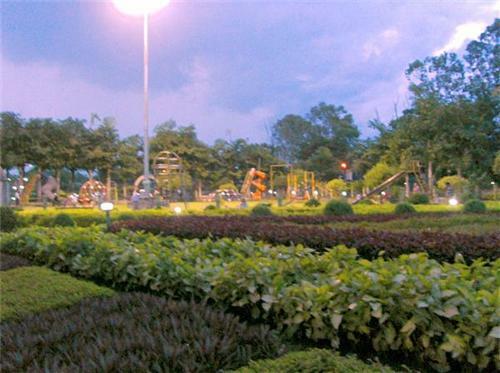 So enjoy the extensive amusement and recreation options available at the parks and gardens in Siliguri. Whether you are a tourist visiting Siliguri or a local resident, Siliguri parks will surely refresh your spirit breathing freshness into your mundane daily life.